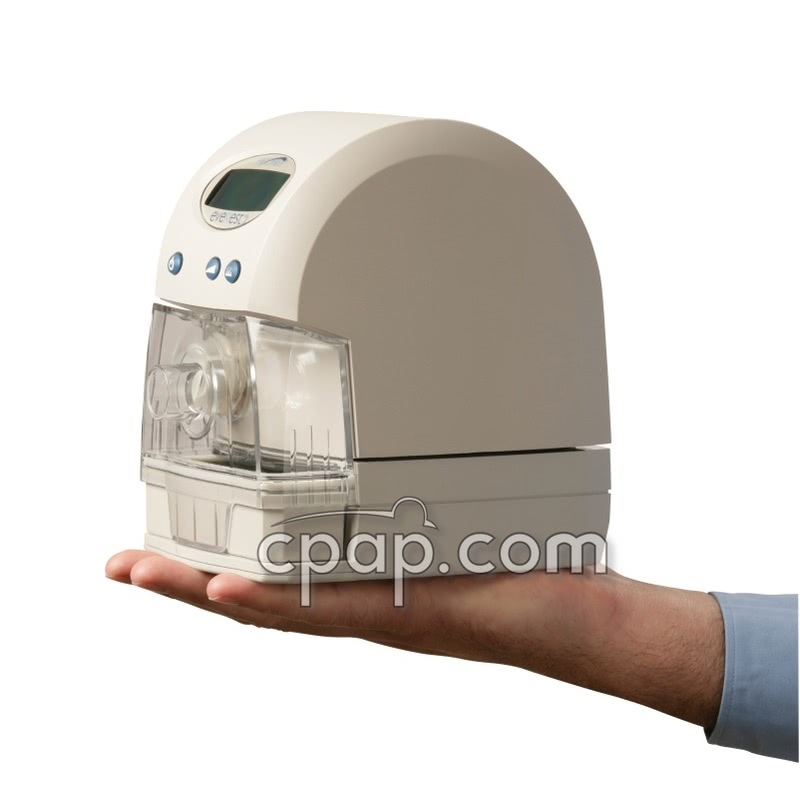 Newer Model Available: AEIOmed Everest 3 Travel CPAP Machine.
" Great little travel machine! Extra long cord for hotel rooms is a plus, as is the battery pack for those nights that the power is off. " " I love how compact the machine is. Its easy to pack up in the caring case and to travel with or just use at home. Most of all the Price. " 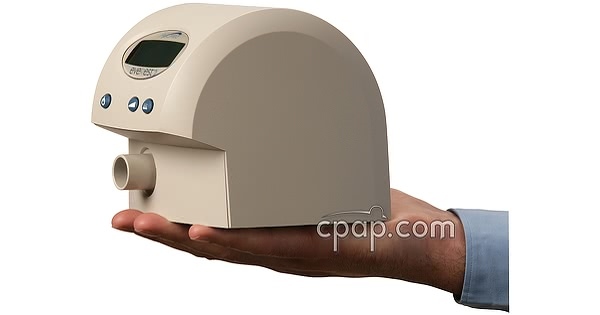 This CPAP can run on any power source worldwide. The AEIOmed Everest 2 is rugged enough for travel, small enough to be easily stowed in your carry on luggage, and best of all, it takes little room on the night stand. 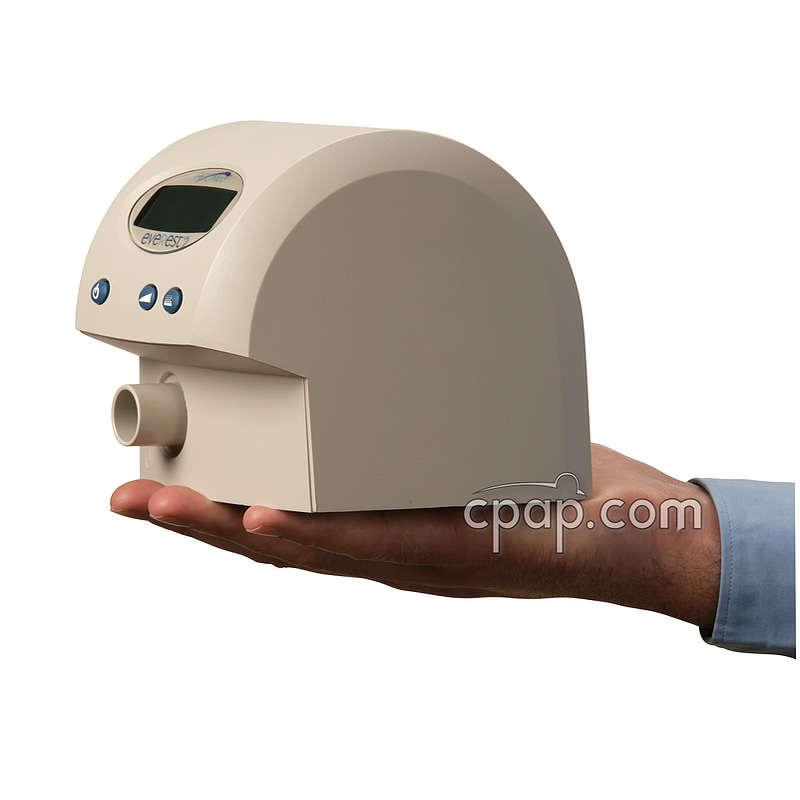 Want to use your cpap ANYWHERE? See our integrated battery below! Add the integrated battery option and never miss a night of CPAP therapy. 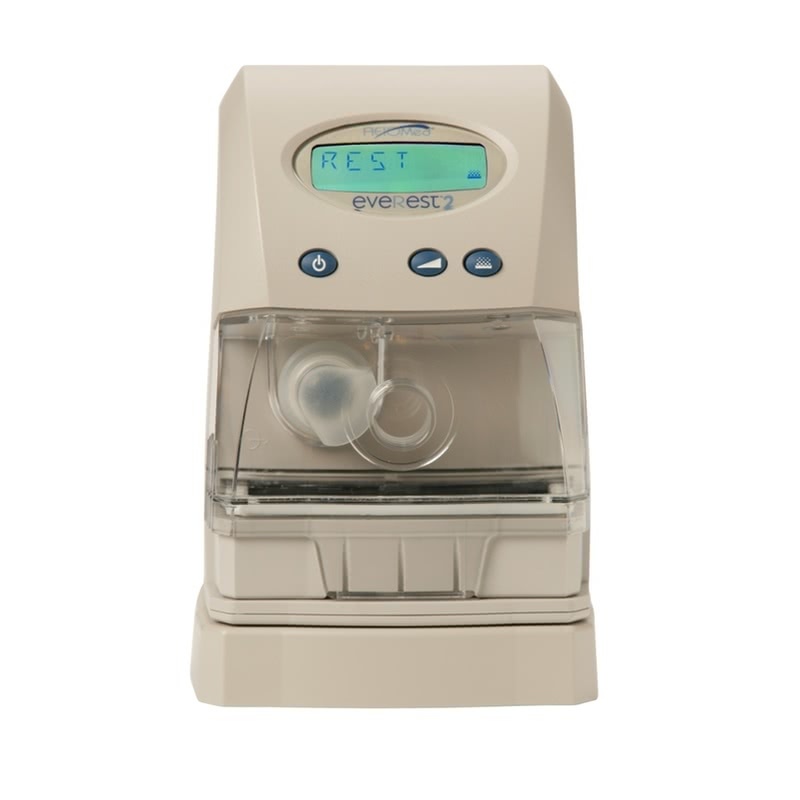 The AEIOmed Everest 2 is the latest model by AEIOMed and replaces the original Everest Aura Polaris TR CPAP machine. It is essentially the same machine as before but has optional DataRest Software reporting capabilities. Also the power supply has been modified from the original Everest Aura Polaris TR CPAP, as well as some slight modifications to the optional heated humidifier. Compact. 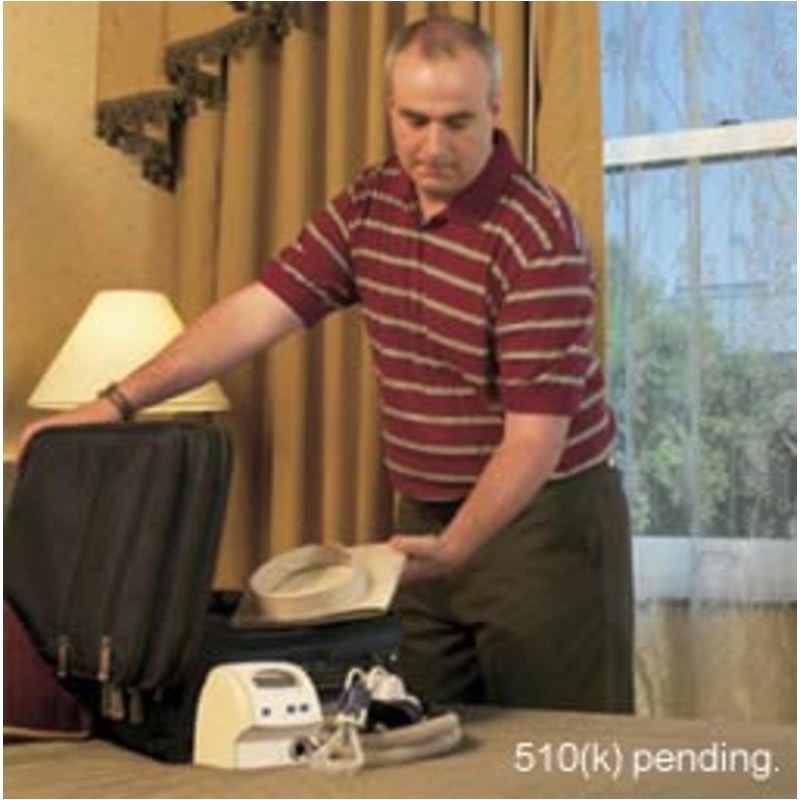 People notice how compact the AEIOmed Everest 2 CPAP is right away. This unit will fit easily on a nightstand, leaving plenty of room for other essentials, from a clock radio to lamp to a glass of water. 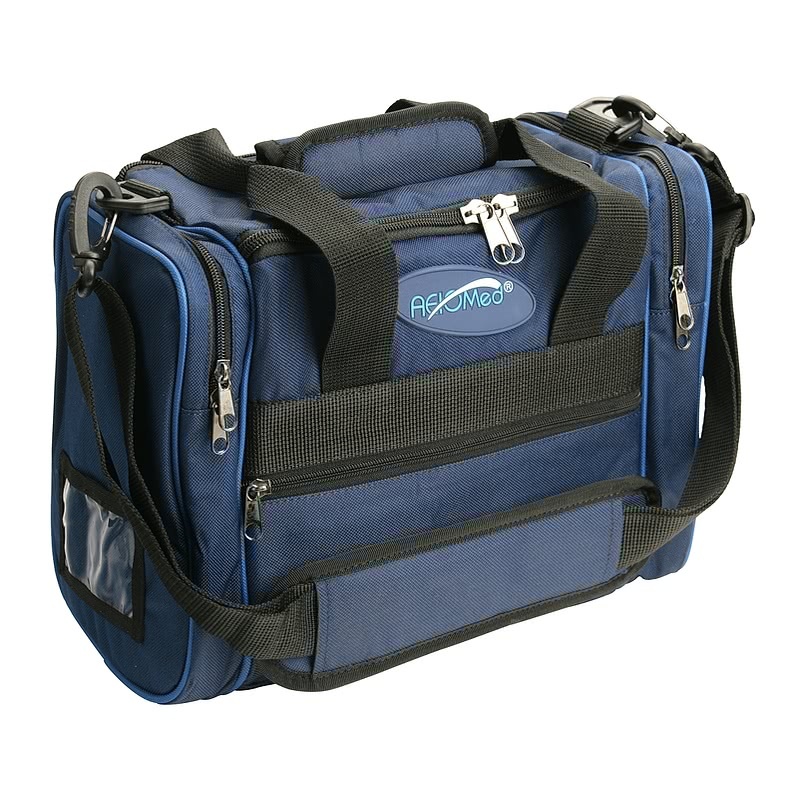 Portable The AEIOmed Everest 2's small size makes traveling with a CPAP easy. Amazingly lightweight, aura fits neatly into its carrying case for a compact second bag. The complete AEIOmed Everest 2 system fits easily into carry on bags, making that piece unnecessary. 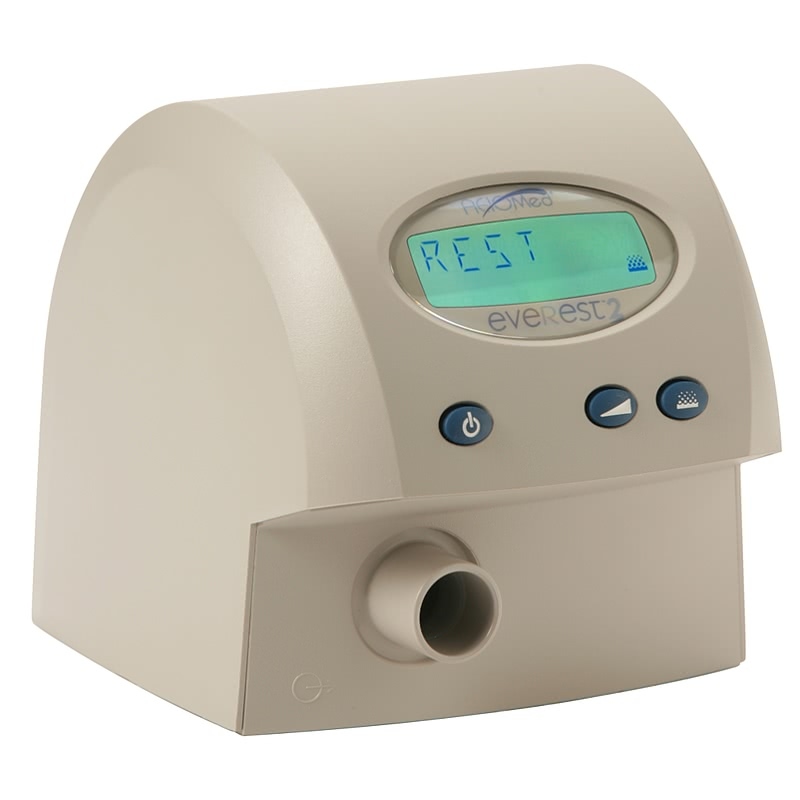 Battery Operated ( "="">Battery Sold Separately) Adding to the ease of travel with this CPAP is an industry first - an integrated, rechargeable battery OPTION, capable of powering the unit throughout the night. It's perfect for camping, boating or other activities that take patients beyond stationary power supplies, and provides a backup during power outages as well. This battery can operate the system all night, and adds only one inch to the systems height. Want to charge your battery ANYWHERE from ANY power source? See our mobile power adapter below! Integrated AEIOmed Everest 2 is an integrated system, including all components in one total package. The CPAP unit, battery and humidifier (humidifier is NOT included) all fit within the battery's footprint. 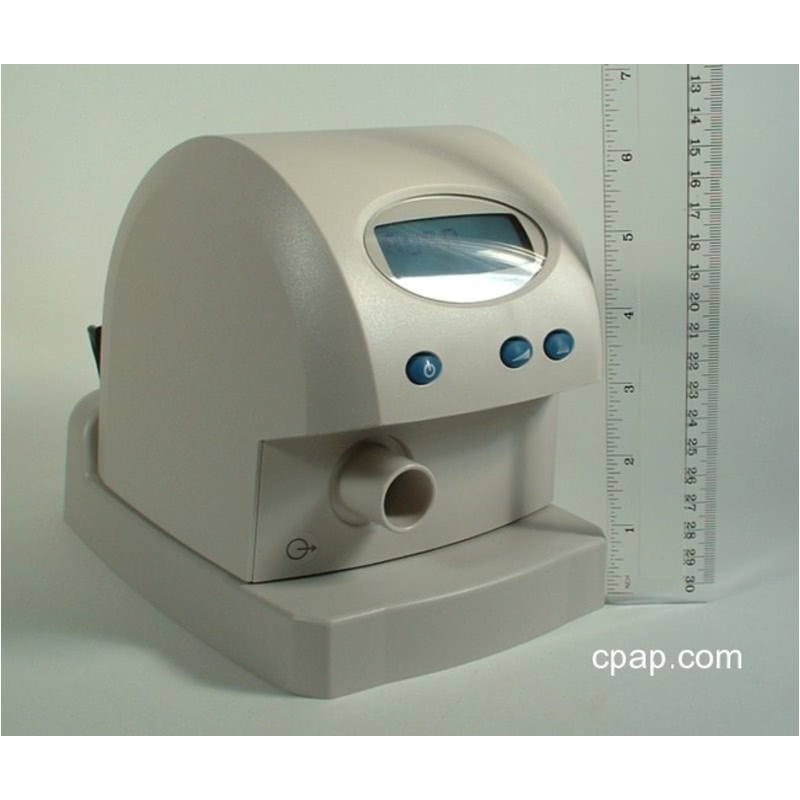 All the parts work together seamlessly to offer OSA patients the best CPAP experience possible. Accuracy of Set Pressure Display +/- 1 cm H2O or +/- 10%, whichever is greater. 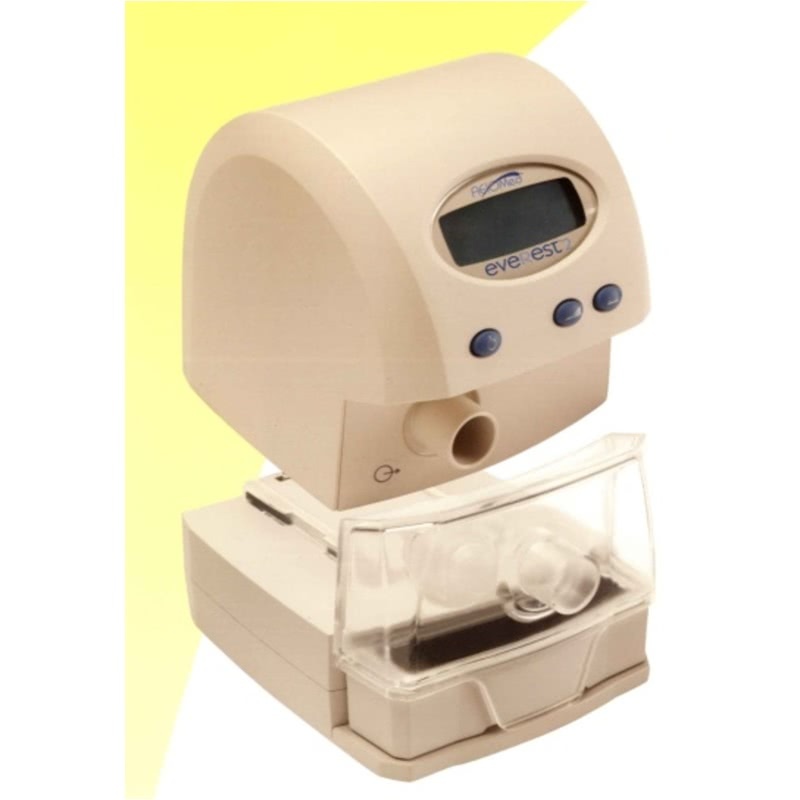 The user manual included with this machine can be viewed and downloaded here: Everest 2 Travel CPAP Machine. This is for the CPAP, bag, hose, and manuals only. It does not include the "="">Rechargeable Battery Pack or a heated humidifier. An Interface Interrupt occurs when your mask is not securely positioned on your face and the air leak is excessive. 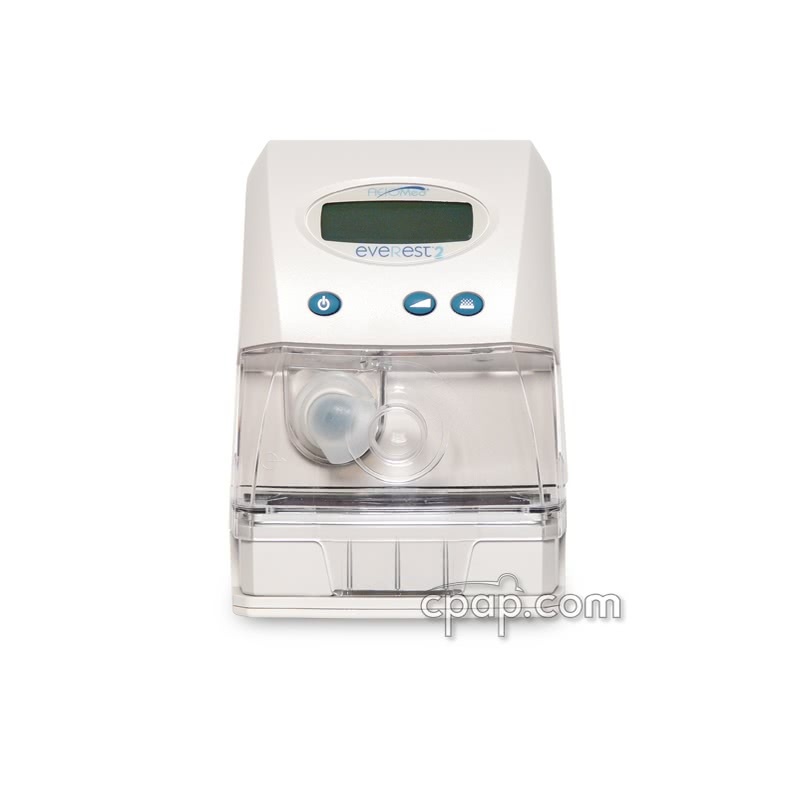 The device will automatically reduce the pressure in approximately 60 seconds, if you remove or do not securely position the mask. Secure the interface and the pressure will increase to the prescribed level when you resume breathing. 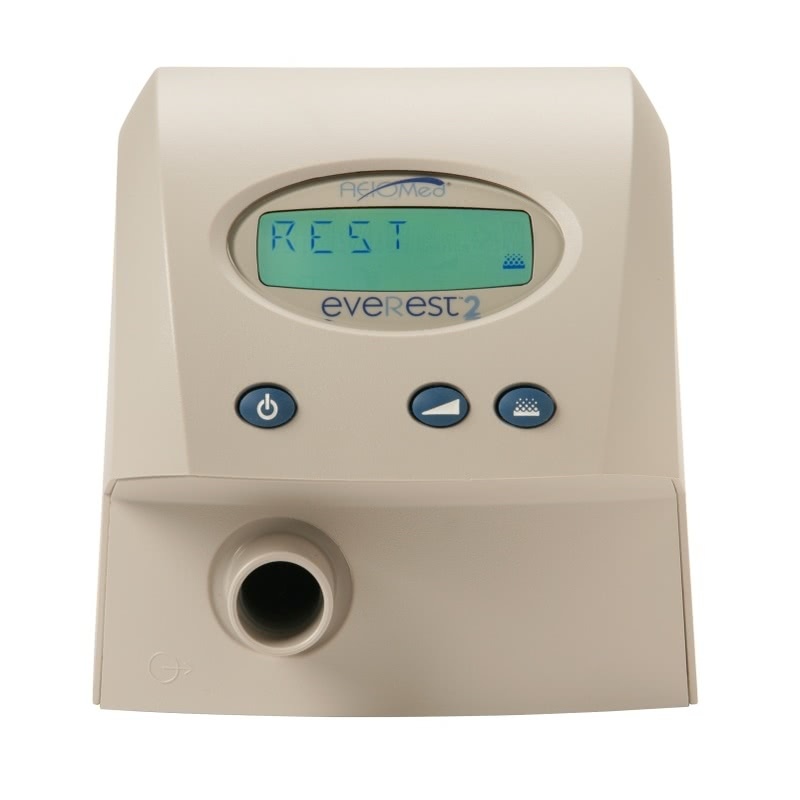 Within one hour, the Everest will shut off the blower and enter Standby mode if you do not breathe with a correctly positioned patient interface. This 19 volt mobile power converter is for use with the AEIOmed Everest 2 Integrated CPAP System. 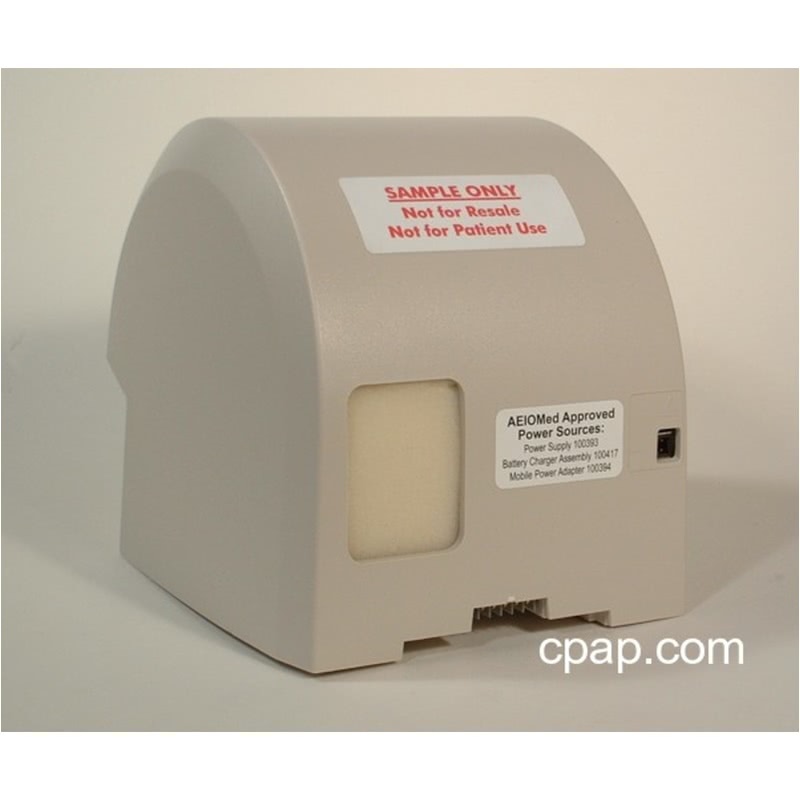 CPAP, heated humidifier and/or battery mobile converter plugs into cigarette lighter. Aeiomed specific Hirosi connector fits battery system or CPAP. 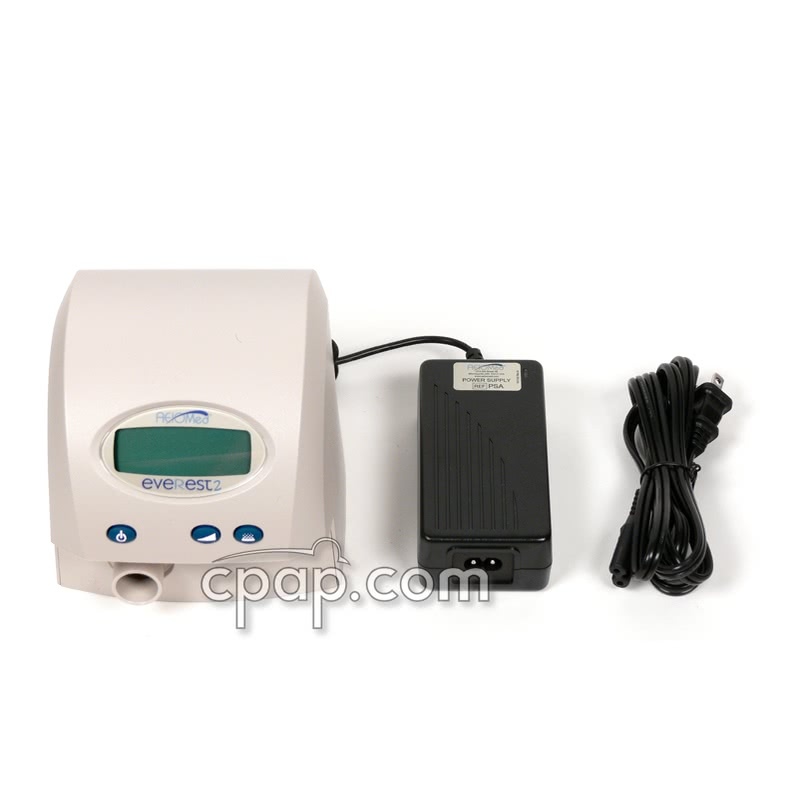 Independently power CPAP & heated humidifier as required or Recharge battery system to power CPAP and heated humidifier. Adding to the ease of travel with this CPAP is an industry first - an integrated, rechargeable battery, capable of powering the unit throughout the night. It's perfect for camping, boating or other activities that take patients beyond stationary power supplies, and provides a backup during power outages as well. This battery can operate the system all night, and adds only one inch to the systems height.